"Bibles and Beer" has grown in participation that there was an interest in forming a (first rate) second shift in a different venue, at a different time, so even more people could participate. It does not appear that the minimum age of 21 is required for this group, but people should keep in mind that this is still meant to be an opportunity for adults to interact as the group studies the Bible together. Bring an open mind, a desire to listen and learn and enough money to pick up your own tab. Starting September 19th we will have a lunch time Bible study called "Bibles and Burgers." It will start at 11:30 AM at 2 Doors Down. Come in, order a burger (or whatever you prefer) and come upstairs for a great discussion. It's difficult to give an exact menu because they rely on donations, but COMEA plans to always have chicken/tuna/egg salad (one) each week if folks don't like or can't eat what he has. This first week will be sandwiches of some kind and a side. When possible, they have a veggie tray or salad which seems to be often. We will start with the Book of Job. Feel free to invite others! Rodger McDaniel posted in Bibles and Burgers. "... Do you want fries with that?" Starting September 19th we will have a lunch time Bible study called "Bibles and Burgers." It will start at 11:30 AM at 2 Doors Down. Come in, order a burger and come upstairs for a great discussion. We will start with the Book of Job. Feel free to invite others! Webmaster's Note: As discussed at the "Bibles and Burgers" gathering on 9-19-2011, and "Bibles and Beer" gathering on 9-26-2011, referring to the Hebrew Bible (Jewish Bible) as the "Old Testament" is a specifically Christian label which not only does not convey the full sanctity of these texts as they are held by the people from which they originate, but historically has been part of the contextualization of them being something other than currently relevant. 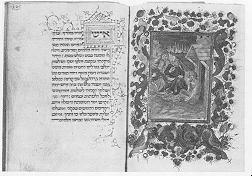 For sake of inclusiveness, so that no one from any faith tradition should feel marginalized or that their sacred texts are treated with anything other than sincere respect, as much as possible we are going to refer to what is commonly referred to by Christians as the "Old Testament" as the "Hebrew Bible, Jewish Bible, or Tanakh." When we get to the books that were added by and are common to all of Christianity, we will refer to them as the "Christian Scriptures, Gospels, Epistles, etc." The other books which occur between these two biblical canons we will refer to as "Apocrypha" as they are labeled by the traditions which embrace them. While this may seem like "political correctness" or "mere semantics" to some, it in fact is simply being accurate and precise in describing these sacred texts. 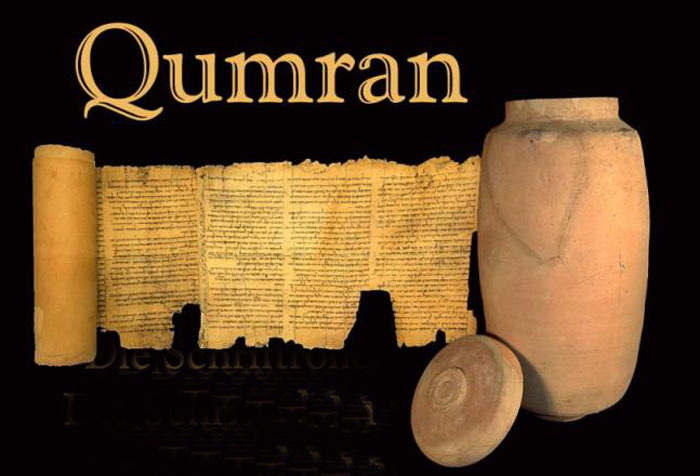 For more information about why the people who carried forward these Biblical stories for about 2,000 years before the beginning of Christianity call these texts the "TaNaKh" and how that canon is organized, please view the video below as well as explore the links which follow it. Shalom, Salaam, Peace. Monday September 26, 2011 We had an interesting discussion last week. Unfortunately we did not get very far in to the text. So this week again we will be looking at the first two chapters of Job. 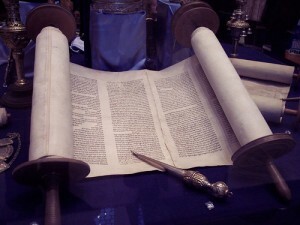 Monday October 3, 2011 we continue our study of Job...chapters 3-4. Monday October 10, 2011 we continue our study of Job picking up with Chapter 5. Monday October 17, 2011 we continue our study of Job and the group felt there is much repetition so decided to read through the end of the book for next week to try to get a better grasp of what is being taught. We also keep revisiting with the question Rodger Mc Daniel posed at the beginning of this journey, "Why do people suffer, and does this text explain it?" Monday October 24, 2011 we continue our study of Job ... Bring a friend and join us Monday at noon at COMEA. They serve a great lunch for an $8 donation and the discussion is stimulating. This week we finish up Job and decide where to go next. "Hmmn ... sort of seems appropriate for Halloween"
Monday October 31, 2011 We thought we were going to be done with Job, but at the session last week a couple of interesting things happened during our discussions and the group decided to continue our study of Job. Also we enjoyed having Rabbi Harley Karz-Wagman join in as well, and everyone there hopes he will be able to participate with the group in the future. Monday November 7, 2011 NOON at COMEA House. Rodger said, "We will discuss which Book of the Bible to take top next. Both "Bibles and Beer" and "Torah Thursdays" have been studying Genesis. We might consider one of the Gospels, perhaps the first one written, Mark...Judges is full of lively stories...Revelation would be a great challenge. Come Monday, bring a friend and we will decide." At the gathering on November 7, 2011 there was some interest expressed in having links to other creation accounts that pre-date the Hebrew text and culture. Per the request of the group, here are some links for anyone who is interested in learning more about this topic. They are being presented without endorsement or debate so that anyone who is unfamiliar of their existence can be introduced to them. Monday November 14, 2011 NOON at COMEA House. Restarts with "B'reishit " (Genesis 1:1) Anyone who missed it the first time around in "Bibles & Beer" now has another chance to explore "A Beginning..."
Monday November 21st at noon at COMEA...the garden of Eden and why Adam and Eve were sent away. See you there? Monday November 28th at noon to 1:00 PM at COMEA ... Genesis 4, Cain and Abel. Join us for this interfaith Bible study and lunch. Monday December 5th we are reading the story of Noah and the Ark. Join us at noon at COMEA. Great lunch for $8 and a stimulating discussion of the Bible. bring a friend and join us. "Bibles and Burgers" is not your traditional Bible study. Monday December 12 we are continuing the story of Noah and the Ark. Join us at noon at COMEA. Great lunch for $8 and a stimulating discussion of the Bible. bring a friend and join us. We need to discuss whether or not to continue this group or to consolidate it into the others. Monday December 19, we finish up with Noah. ‎"Bibles and Burgers" is on indefinite hiatus. http://www.mtsinaicheyenne.org/ Discussions and most readings are in English.